At the end of October we announced the Buy, Break, Build series kick off with “The Santa-pede Challenge“. The goal was to get your hands on one of those annoying dancing santas, tear it apart, then use its parts to build something that walks. We got our hands on some cool prizes and even got [Phillip Torrone] to be a guest judge. Join us after the break to see just what we came up with and maybe have a few laughs. [Trucki] wanted to upgrade the internal storage on his JooJoo. There’s an mSATA connector inside but devices that use that protocol are hard to come by and when you do they’ll cost you and arm and a leg. He knew he could get solid state drives cheaply that use the mini PCI Express standard, which is mechanically compatible with mSATA. So he set out to alter a mini PCI Express device to work with the mSATA protocol. This entails swapping the transmission lines and rearranging the voltage traces on the connector. To handle the TX- and TX+ lines he desoldered their decoupling capacitors and realigned them to trade their signals. For the 3.3V lines he had to cut the feed and solder jumper wire to the correct pads. 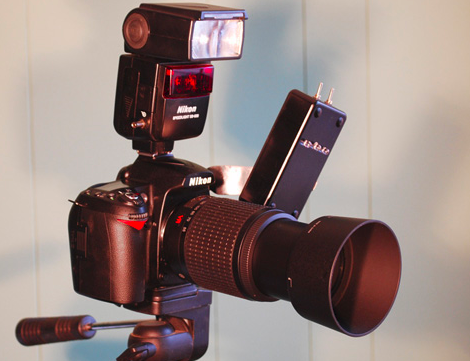 This is some nice work which let him add a 32 GB drive for just sixty Euros. Since the device only comes with a 4 GB SSD an upgrade is almost mandatory if you’re planning to install an alternate OS on the Joojoo. 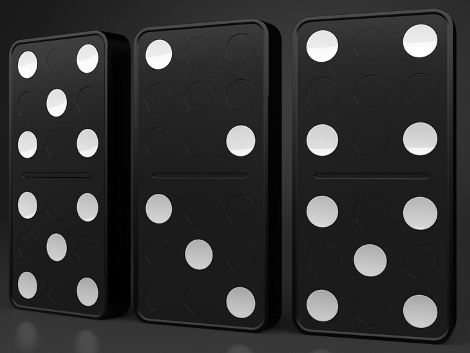 This clock concept uses big dominos with changing faces to display the time. As far as we can tell they haven’t made it through to a finished product yet, but we loved the explaination of the engineering that went into the prototype. After the break you can watch [Eric] explain how he accomplished the design requirements of a slowly changing digit that uses no power to keep its state, which also uses low-power when changing state. To accomplish this he designed a flipping circle that stays put in both the white and black positions once set. When it’s time to change the digits, a coil is energized to push against a magnet in what he calls a single poled motor. Whatever the name, we want to build one ourselves! This is an inkjet print head made using a RepRap. The manufacturing process is both simple and ingenious. 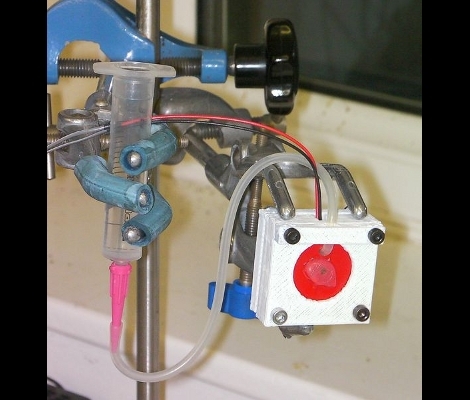 It uses a vibrating piezo buzzer to pump printing liquid through a tiny nozzle. The red disc seen above is exactly the same diameter as the piezo that resides behind it. There is a hole offset from the center to feed ink in between the two discs. Take a look at the test footage after the break. To make the nozzle a hole was cut in the plastic disc, then a pin inserted and the whole thing was covered with hot glue. The next step was to remove the pin and shave down the glue until the narrow aperture is open. [Adrian Bowyer] is still in the testing phase for this assembly, but once he gets the bugs worked out he plans to test it with a heating element so that it can print using wax and other materials that are liquid when hot. [Vik] tipped us off about this one after seeing the printable transistors from the other day.